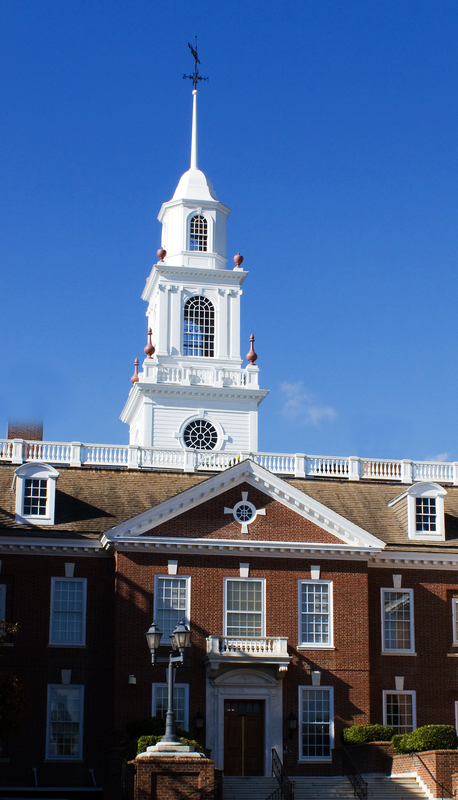 Delaware’s business-friendly environment and responsive legislature provide a great climate for banking, including its vibrant trust industry. In turn, Delaware’s financial institutions provide stability that benefits all of the State’s citizens. Since 1981, when the Financial Center Development Act ushered in Delaware’s modern era of banking, jobs in banking and financial services have increased over 740%. As of December 31, 2015 banks employed over 37,800 individuals, an increase of 6% from the previous year. That’s a growth rate that would make any state envious. In addition to providing good-paying jobs, Delaware banks provide mortgages to homeowners and loans to businesses. Delaware’s banks also provide much-needed tax revenue, paying $95 million in bank franchise taxes in 2015. Delaware’s banks also demonstrate their commitment to the First State by being good corporate citizens. They do this by investing in the community. Delaware’s banks not only provide monetary support through grants to civic organizations and charities, but bank employees back up those dollars by volunteering their time for those causes. In 2015 banks provided over $28.2 million to hundreds of non-profit groups and community agencies all across the State. And bank employees contributed over 254,000 hours in service to the community. Founded in 1895, the Delaware Bankers Association is a not-for-profit private trade association comprised of national and state chartered banks, non-depository trust companies and savings banks that have assets in or are authorized to accept deposits in Delaware. As of December 2015, over 37,800 people were directly employed by Delaware financial institutions. Delaware's business friendly environment, along with its progressive laws and chancery court system, make it a national leader in the banking industry with some of the country's largest financial institutions having operations in the State. The mission of the Delaware Bankers Association is to support its member institutions with leadership and information that will provide their employees, their communities and the State with a safe and viable financial services industry. The Association will represent the interests of the industry by addressing and/or initiating State and Federal legislative and regulatory agendas deemed important by the membership. The Association will promote educational and developmental programs as well as communication forums for the enhancement of the membership. Furthermore, it will promote and support the State of Delaware and its communities.